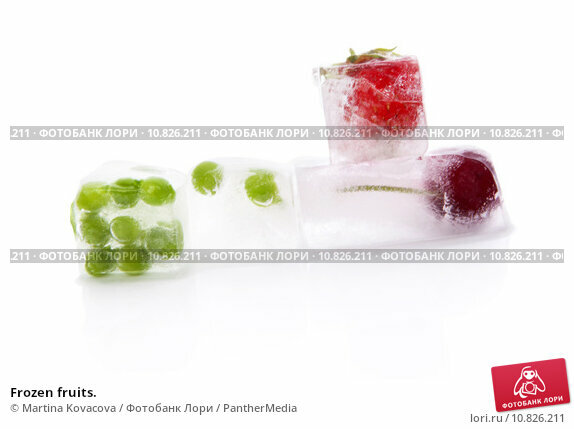 Fresh frozen fruits frozen in ice cubes. Berries frozen in ice isolated on white background. Healthy summer fruits.